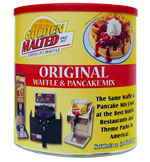 Original Waffle and Pancake Mix - Our Most Popular Mix! 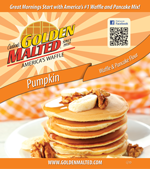 Since 1937, when we developed our patented recipe for Golden Malted® Waffle & Pancake Mix, we've been creating delicious golden-brown waffles and light & fluffy pancakes. 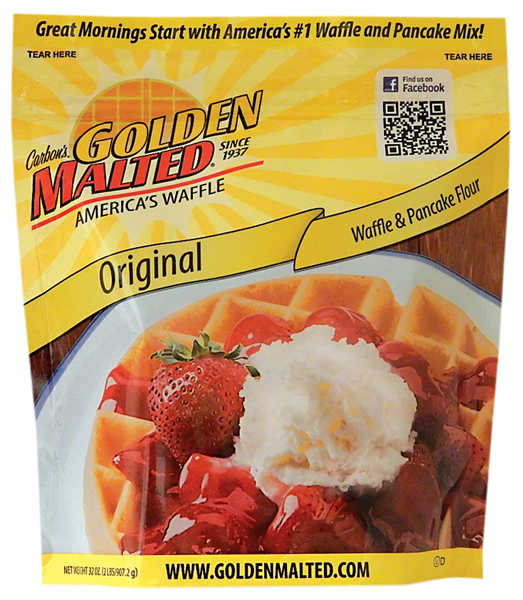 With the perfect blend of real malt and vanilla, our Original Waffle & Pancake Mix continues that tradition today with a taste and texture that still can't be beat! 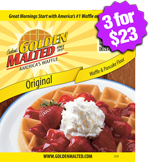 WEEKEND SPECIAL: 3-Pack (3 x 2 lb. pouch) $7.66 per pouch - SAVE $6.67! 6-Pack (6 x 2 lb. pouch) $8.22 per pouch - SAVE $10.00! BEST DEAL: 12-Pack (12 x 2 lb. pouch) $7.91 per pouch - SAVE $23.69! 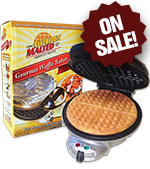 We have looked for years and years to find the awesome waffles that we've eaten at Hampton Hotels. 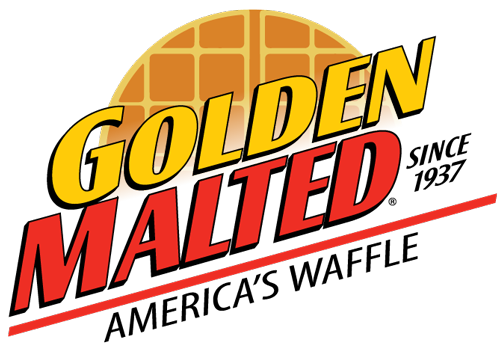 Now we found them - they are absolutely fabulous and it's mainly because of the malt in their recipe. Love this product!!!!!!!!!!!!! Always keep it on hand.